Cladding is the layer of material on the external part of a roof. You’ll see it on numerous different roofs for many different purposes, residential, industrial or commercial. It’s designed to successfully endure the weather, fire and anything else. It repels temperature changes, noise and looks appealing. It can be done using a range of different materials, depending on which is right for you. A good cladding contractor will take this into consideration when implementing the cladding onto your roof. Over a large area, the weight of a material can only be within your structures load bearing requirements. Depending on your vision of your building, you’ll need to consider what it’ll look like. Maintenance is a frustrating and potentially limiting area, it must be still considered. How much maintenance and refurbishment your roof will need in the future, as well as how much it costs can bring issues further down the line. It’s an essential part of your business. The trouble is that as you get cladding or roofing so infrequently, often people are fairly inexperienced at considering the different elements. That’s why you need to get the very best roofing and wall cladding contractor in order to walk you through this decision and make recommendations. This is ideal for both those seeking brand new cladding, and over-cladding of an existing roof. Which cladding contractor should I choose? 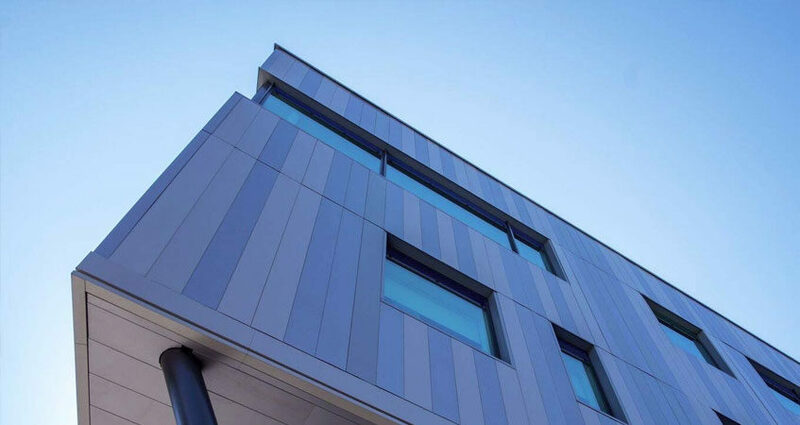 Here at Sage BEC, we’re extremely skilled and experienced in getting you the best cladding contractor. We use only the best products from the most renowned suppliers, and have completed various different projects in many different environments. We understand all you need to consider during this process, and have guided many others to get their ideal roof without breaking the bank. This makes us the ideal cladding contractor for your needs.